BSPHCL Assistant Admit Card 2018: The Bihar State Power Holding Company Limited officers will release the BSPHCL Assistant Admit Card 2018 soon for the BSPHCL Assistant Examination. The BSPHCL higher authority decided to conduct the BSPHCL Assistant Examination in the last week of June 2018. For this purpose, the management of the BSPHCL will release the Bihar Assistant Hall Ticket 2018 one week before of the examination. So, candidates who had applied for the 90 vacancies of Assistant posts, they should attened for the BSPHCL Assistant Examination along with BSPHCL Assistant Admit Card 2018. Through this page we have provided importance of the hall ticket, information on the admit card, essential documents for the exam, and downloading steps in a detailed manner. The Bihar Assistant Hall Ticket 2018 contains all vital information about the examination and related information about the applicant. The management of the exam will not allow the candidates into the examination hall without BSPHCL Assistant Admit Card 2018. So all the applicants without fail must carry the Bihar Assistant Hall Ticket 2018 for the examination center. 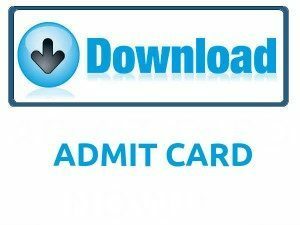 And also we have given a link at the end of this post to download the BSPHCL Assistant Admit Card 2018 without any stress. So all the aspirants should utilize that link and get the Bihar Assistant Hall Ticket 2018 to attened for the examination. Mostly the Bihar State Power Holding Company Limited authority will release the BSPHCL Assistant Admit Card 2018 in June 2018. The BSPHCL officers have issued an employement notification for 90 vacancies of Assistant posts. For this BSPHCL Recruitment 2018, the application process started on 8th May 2018. And the application process end date on 29th May 2018. Interested and eligible candidates should apply for this recruitment through online on or before the 29th May 2018. And the Bihar State Power Holding Company Limited management is planning to conduct the BSPHCL Assistant Exam in the last week of June 2018. So, candidates who are willing to participate in the BSPHCL Assistant Examination 2018, they must download the Bihar Assistant Hall Ticket 2018 and carry it for the examination center. The Bihar State Power Holding Company Limited is conducting this BSPHCL Assistant Examination to filter the skillful candidates for the current vacancies. So, candidates who will get the good marks in the written examination, they will forward to the further selection rounds. Therefore candidates should prepare well for the BSPHCL Assistant Examination by practicing previous papers and syllabus. Many of the candidates asked us to provide the information about the BSPHCL Assistant Admit Card 2018. For the sake of those candidates, we had shared this article with the latest news. We will provide the exact link on this page, whenever the officials activate the link. So candidates keep in touch with our dedicated website Sarkari Naukri to know more upcoming updates about the Bihar Assistant Hall Ticket 2018. The BSPHCL Assistant selection process contains Computer Based Test, Document Verification. Competitors need to perform well in the selection process. Candidates who will give the best performance in the all selection process, they will recruit by the Bihar State Power Holding Company Limited recruitment panel. The selected candidates will get the best and impressive salary package from the Bihar State Power Holding Company Limited organization. Candidates who want to know more information about the BSPHCL Assistant selection procedure they should check out the official website of the BSPHCL. The BSPHCL Assistant Admit Card 2018 is a required document to write the BSPHCL Assistant examination. So all the exam participants without any deviations must download Bihar Assistant Hall Ticket 2018 and it for the examination center. Many of the aspirants in a dilemma about where to find, and how to download the BSPHCL Assistant Admit Card 2018. For those candidates, we have given all needful details related to the Bihar Assistant Hall Ticket 2018 and with an active link to download the BSPHCL Assistant Admit Card 2018 easily. With the help of below-mentioned link, aspirants can quickly download the Bihar Assistant Hall Ticket 2018 at free of cost. At the time of getting the Admit Card from the official website, aspirants must and should cross-check the information provided on the BSPHCL Assistant Admit Card 2018. Candidates if found any mistake then immediately inform the higher authorities and make the proper corrections before the examination. Find the BSPHCL Assistant Admit Card 2018 notification link in the latest update section. Provide the Registration Number, Date of Birth or Password details. Check the provided information and click on the submit option. Now BSPHCL Assistant Admit Card 2018 will display on the computer screen. Check the available information on the Hall Ticket and download it. At last, take a print out of the hard copy to attend for the examination. Hope the above-provided information about the BSPHCL Assistant Admit Card 2018 is good enough for the candidates who had applied for the BSPHCL vacancy posts. Candidates if you have any doubts related to this post then leave a comment in the below provided comment box. For knowing frequent updates about the Bihar Assistant Hall Ticket 2018, keep visiting our website Sarkarirecruitment.com regularly.